Chinese imports of oil from major OPEC countries fell last year, while the purchases of Russian oil saw a record increase, said the Chinese General Administration of Customs. 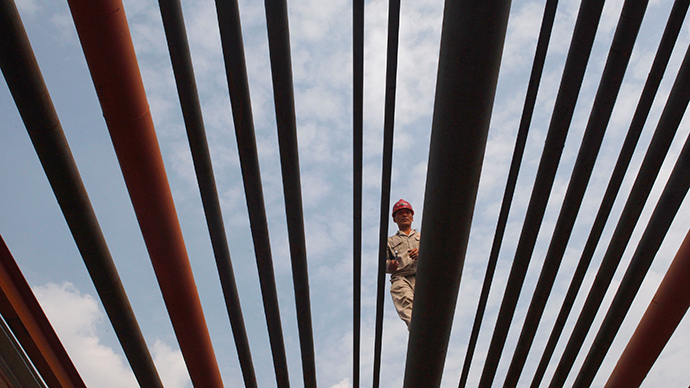 It is part of Chinese plans to diversify its oil sources. Last year, the share of Saudi oil in the Chinese market fell 8 percent and the volume from Venezuela dropped 11 percent (below 20 million tons), while the share of Russian oil leapt 36 percent, the equivalent to 665,000 barrels a day, General Administration of Customs said Friday in a report. Saudi Arabia remains China’s largest supplier with 49.67 million tons of exports in 2014, or 997,000 barrels a day, the least since 2010. Russia surpassed Oman as China’s third-largest supplier in 2014 and sold crude roughly at $103 a barrel, according to the customs data. The agreement with Rosneft signed in 2013 could make China Russia’s biggest crude export market by 2018. Oil flows to China through the East Siberia-Pacific Ocean pipeline which could increase supplies to 20 million tons a year by 2017. Rosneft obtained $2 billion in loans from the China Development Bank and advanced payment for part of the oil deliveries.The flow of Russian oil to China may exceed 50 million tons annually by 2020, Wood Mackenzie’s Sushant Gupta told The Wall Street Journal. By purchasing more oil from Russia, China reduces dependence on maritime oil supplies from the Middle East that is subject to interruptions due to the weather. In November 2014, Saudi Arabia significantly reduced its official price to Asian buyers to its lowest since 2008. The move was made to keep market share in the region with the fastest growing demand. December cargoes were sold at $75 a barrel, and that’s compared with the full-year average of $101.50. Meanwhile Saudi Arabia remains the main supplier for the whole of the Asian continent and accounts for 70 percent of its demand, according to the US Energy Information Administration.